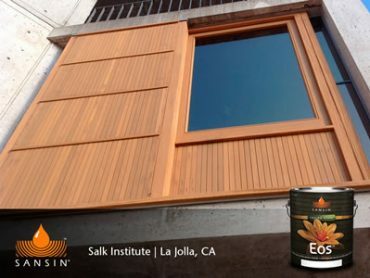 Sansin Eos: Beautiful one or two-coat water-borne wood finish. 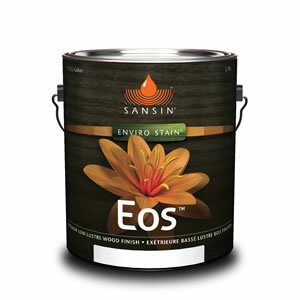 With just one or two coats, Sansin Eos provides tough, effective protection for sidings, logs, decks and fences. Specially formulated oils and resins protect the wood, providing outstanding weather and UV protection that won’t crack, peel or blister. Due to it’s high solids and unique water-borne alkyd technology Eos is exceptionally easy to apply and maintain, ensuring a perfect finish every time. 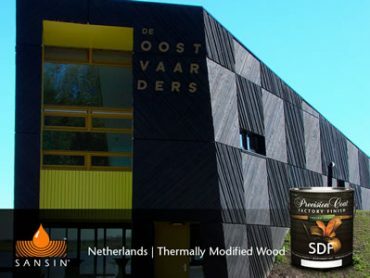 Crisp, clear color means that Sansin Eos dramatically enhances the natural beauty of any wood project. For additional lustre and protection, apply a final coat of Sansin Ardera. View the Sansin EOS Product Data Sheet (PDF) for information about application, preparation, maintenance, and more. View the Sansin EOS Safety Data Sheet (PDF).